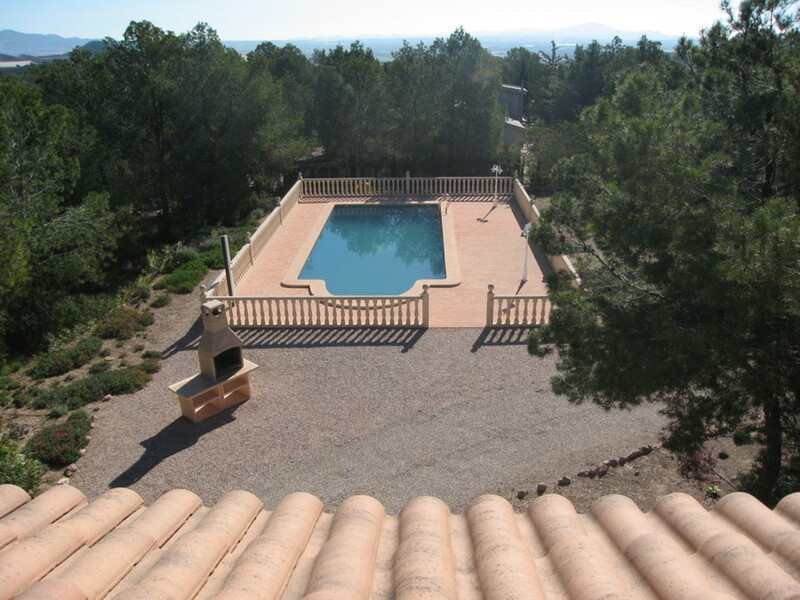 A fantastic Country house with 4 bedrooms and 4 bathrooms, private swimming pool, garage and central heating, situated on a 5,000 sqm plot by the canal in Totana, Murcia. Being sold part furnished and with white goods. You enter the property via electric sliding gates and a driveway up the house. 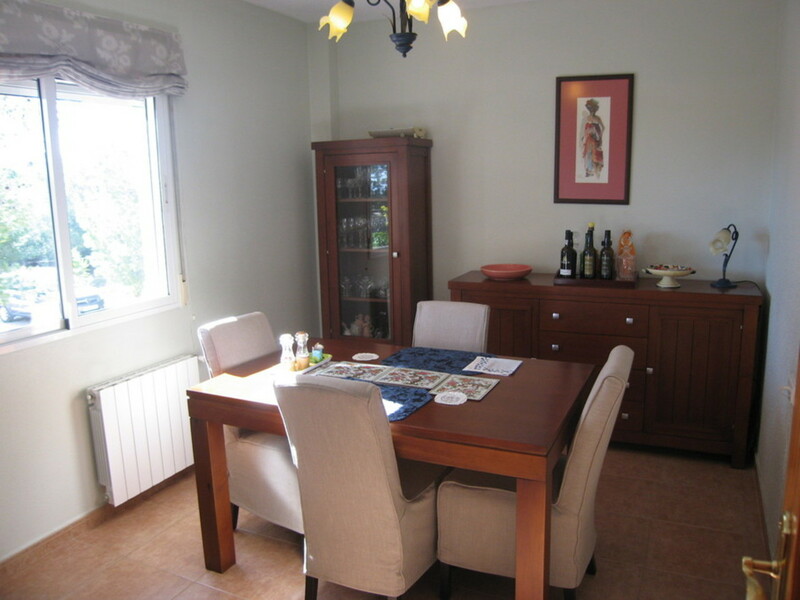 You have a veranda with table and chairs and wonderful views to the mountains and pool area. 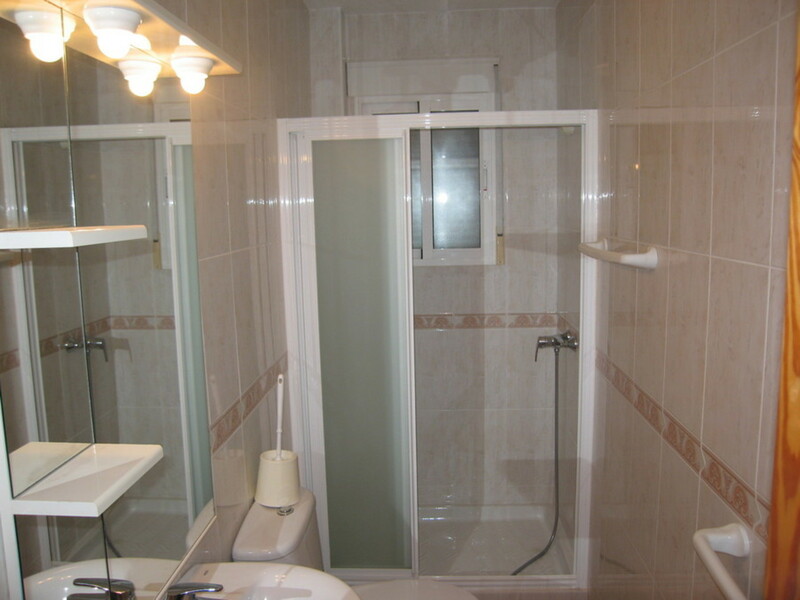 Upon entering the property, you have the hallway with access to all rooms. 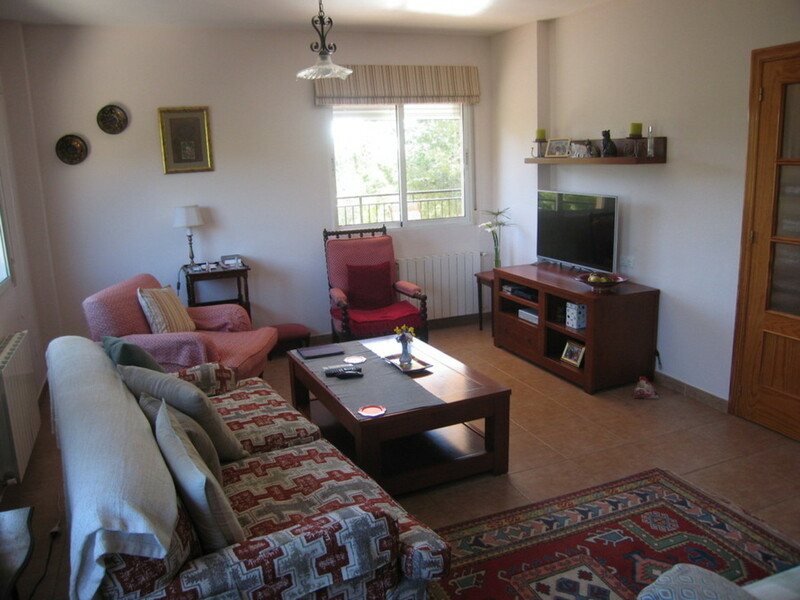 The warm and comfortable lounge is light and airy with central heating. Across the hallway is the dining room. This was a bedroom and can easily be converted back. The independent kitchen has light cream upper and lower units, granite work surfaces, dishwasher and all other electrically domestic appliances. 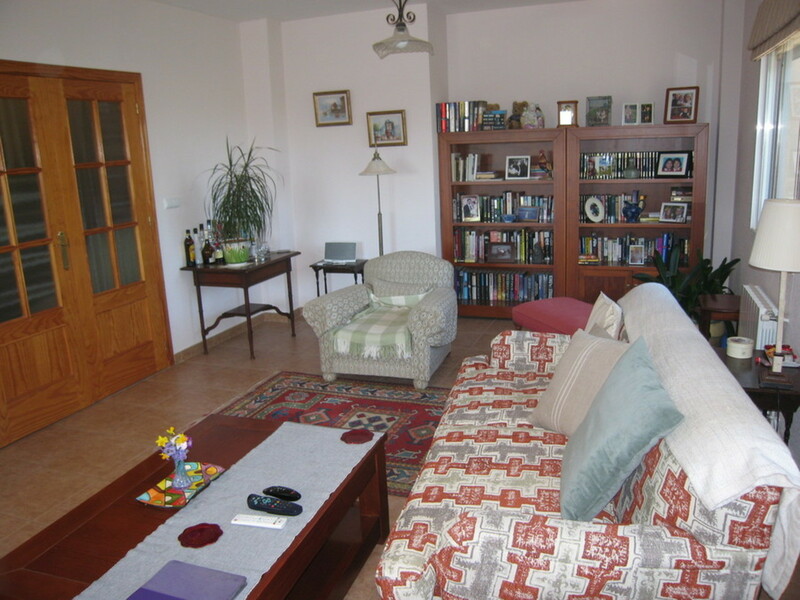 On the first level, there are 3 double bedrooms and 2 bathrooms. 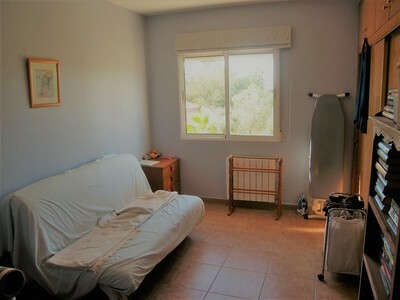 All the bedrooms have central heating and the master bedroom has an en-suite bathroom with bath and overhead shower plus a walk-in wardrobe. Adjacent to the other bedroom is a fully tiled shower room. 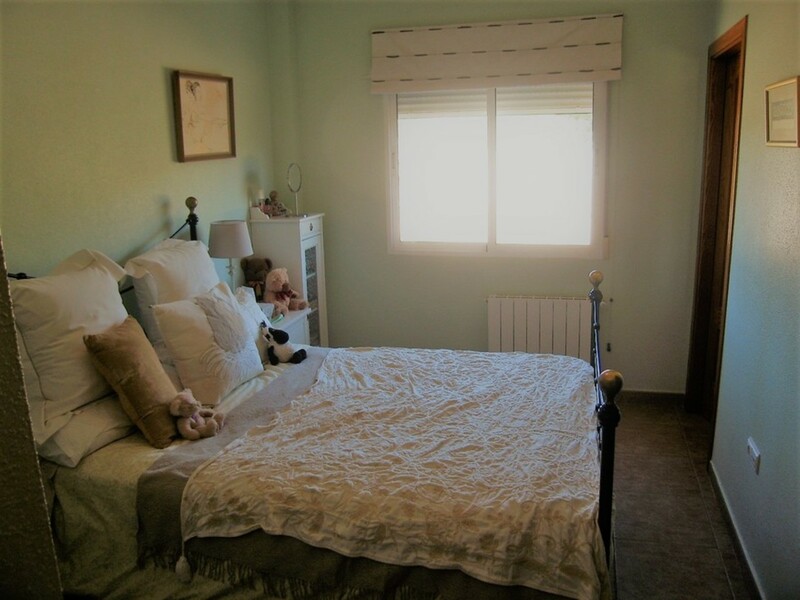 On the second level, we have one double bedroom with balconies either side, again with wonderful views to the Sierra Espuna mountains and countryside. 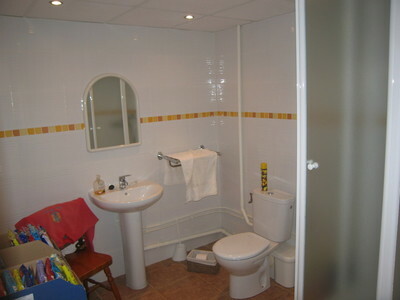 Opposite the bedroom is a fully tiled bathroom with enclosed shower unit and a storage room. From the first level, you have marble stairs leading down to the large garage which houses a bathroom with enclosed shower, wash basin and W.C. There is a further enclosed room in the garage which the current vendor uses as an office. 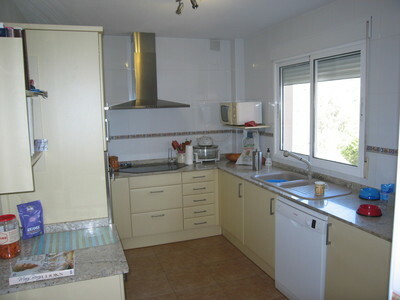 The property has a constructed size of 160 sqm, with the garage a further 92 sqm. The 10 x 5 swimming pool has Roman steps and is surrounded by stone balustrades and newel posts. The garden is mainly gravelled and there are a many pine trees, plants and shrubs dotted around the natural garden. The property is south facing and fully fenced. This really is an exceptional property, in a lovely location, which offers peace and tranquillity.